With Premier Communications managing your entire communications function, you can focus on what’s most important, building and growing your business. We have been providing business phone services for a long time and have proven ourselves to be the leading communications provider. We are trusted by small and big business corporations, Government agencies including the Fire and Police Departments and we can also help you take your business to greater heights with our dependable and far-reaching business phone services. 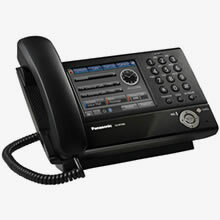 Premier Communications is confident to become indispensable to your business. Call us if you’re in Port Orchard, Gig Harbor, Tacoma, Seattle, WA and the Metro Areas and let us help you manage your communications. With Premier Communications, you will never miss a call, let alone an opportunity! As a business owner, you are responsible for the continued building and management of a growing business. If for any reason you are running your business from a hotel room out of your city or in the comfort of your home, your business obligations require that you are always reachable. As the largest VoIP provider, Premier Communications business phone service is mobile driven and perfect for BYOD (Bring Your on Device). 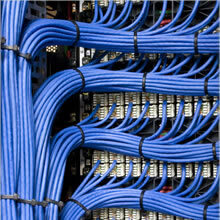 We provide you with Ethernet network cabling depending on your business’ internet needs. Whether you require the fastest internet speeds or just need your internet for essential services such as sending and receiving emails, we will provide your business with web services you can rely on. Whether you need a small business landline phone system or one that has an internet connection, you can count on Precision Communications to help you install the best business phone service based on communication needs. We provide you with an excellent opportunity to remain available to make more contacts, take and make more calls and close more deals. Precision and accuracy are what we guarantee when it comes to the installation and testing of fiber optic cabling.